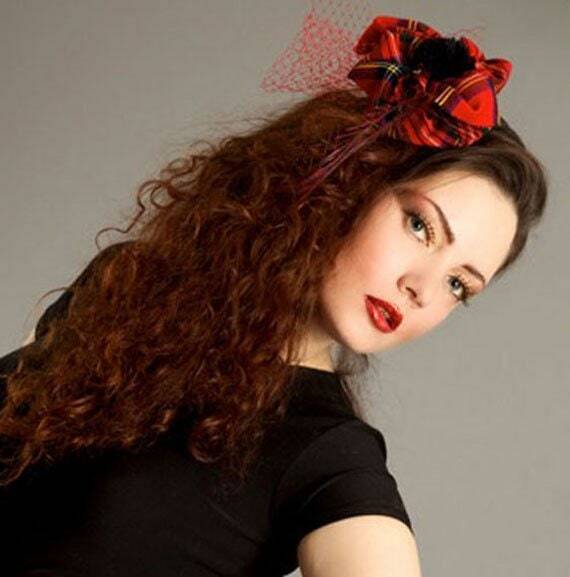 Stylish Royal Steward Scottish Fascinator is perfect headpiece for Scottish style weddings, parties as well as races, Ascot and other occasions. 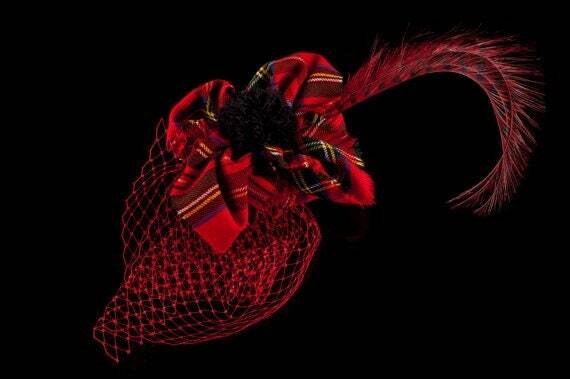 This fascinator is handmade from wool tartan in the Royal Stuart pattern and trimmed with black pom-pom and red pheasant's feathers. Comes on the metal hair clip so it can easily be placed on your hair. 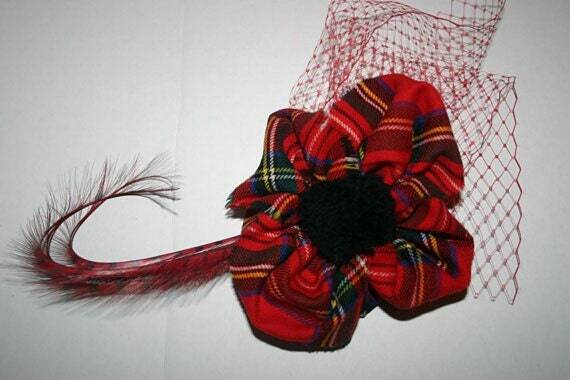 Please do not leave your purchase until last minute especially if you request custom made items.